So you’ve played a lot of XCOM, and maybe a fair bit of Frozen Synapse. Either way, now you reckon yourself a wizard of tactical strategy. But what if there was a game that let you command literal wizards in strategic modern military action? 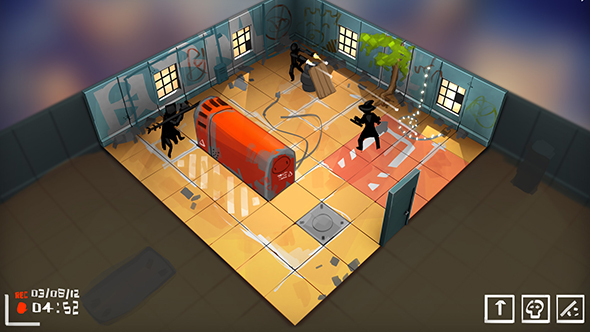 Tom Francis, the designer behind excellent indies like Gunpoint and Heat Signature, plans to let you do exactly that with Tactical Breach Wizards. See all the best indie games on PC. That is assuming the game moves ahead, as it’s currently in the prototyping phase as Francis determines whether there’s enough meat to the concept to start working on it as his next big project. It sounds brilliant, though. It’s all about commanding a small team of wizards, with traditional magic powers and full-on tactical gear, to clear out rooms full of hostile enemy forces. Take the Close Quarters Battlewitch class, for example, who’s equipped with “twin wands in carbon-fibre tonfa mounts.” Or the Tier One Pyromancer, with a covering fire ability which “covers everyone in actual fire.” As currently envisioned, the game would have you moving room by room for a series of standalone battles with enemy forces. You’d give orders to a particular squaddie, rewind, and give orders to the next until you’re happy with the result, letting the uncertain bits play out on the enemy turn. You can see some gifs of the game in development via Francis’s Twitter, and you can keep an eye on development through the impeccable URL, wizards.cool.